This is a super-quick and easy recipe but very tangy and the green chillies give it a great kick! The measurements for the ingredients are approximate, I spied my housemate while she was cooking it and this is the combination I came up with but you can add more or less quantity of whatever you want. Hope you enjoy it! Heat vegetable oil on a pan, once hot throw the mustard seeds in, when they start popping add the curry leafs and stir for a little while. Add the green chillies, Gram lentils and stir for a couple of minutes, then add the peanuts and stir well. Roast at mid-low flame to brown slowly. Once lightly brown add a tablespoon of fresh grated ginger, salt, turmeric, the lemon juice and a tablespoon or two of water. Cook for only two minutes once you put the lemon juice in otherwise it will become bitter. Add already-boiled basmati rice and cook at low flame until the rice is hot. And it’s ready! Serve on its own or as a side for any curry. It’s deliciously tangy! 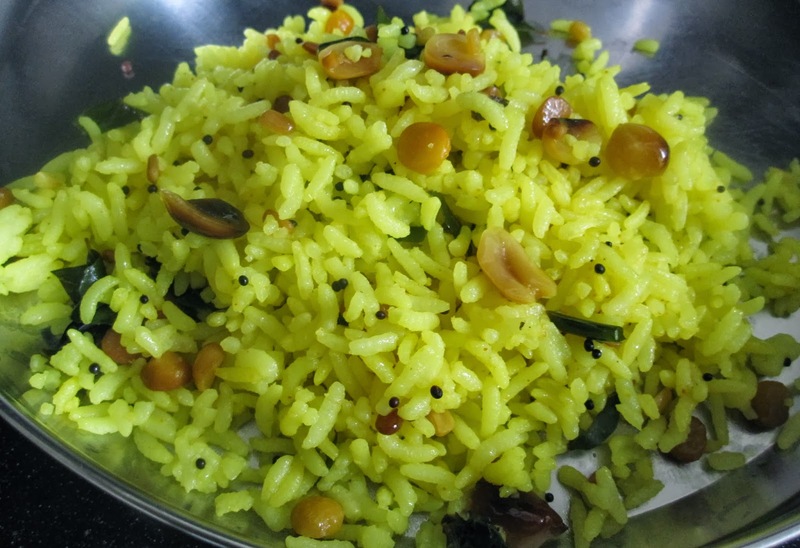 This entry was posted in Cooking and tagged Lemon, rice. Bookmark the permalink.